At such a difficult time, let us make things a little easier by helping you to choose, order and send funeral flowers. When the time comes to make these decisions, often without much prior warning, you can rely on our dignified, personal service and experience. Enchanted Floristry are highly skilled at crafting the most respectful and appropriate sympathy flower arrangements. Considerable time and effort goes into ensuring that each creation serves as a fitting tribute and provides you with a smooth and stress-free experience. Funeral flowers are designed to be laid either on top of a coffin or on the ground. Family members tend to arrange the casket spray. Other flowers for the service could include: single or double ended sprays, wreaths, sheaves and posies. Plus, of course, we can customise a bespoke tribute to suit your requirements. Perhaps you’d like give sympathy flowers as a compassionate gesture as sometimes it’s easier to express your feelings with a gift rather than words. We can provide advice on suitable flowers to convey (in meaning and colour) your fond memories. Please contact us to talk through the best options for you to show your sincere condolences with sympathy and funeral flowers. 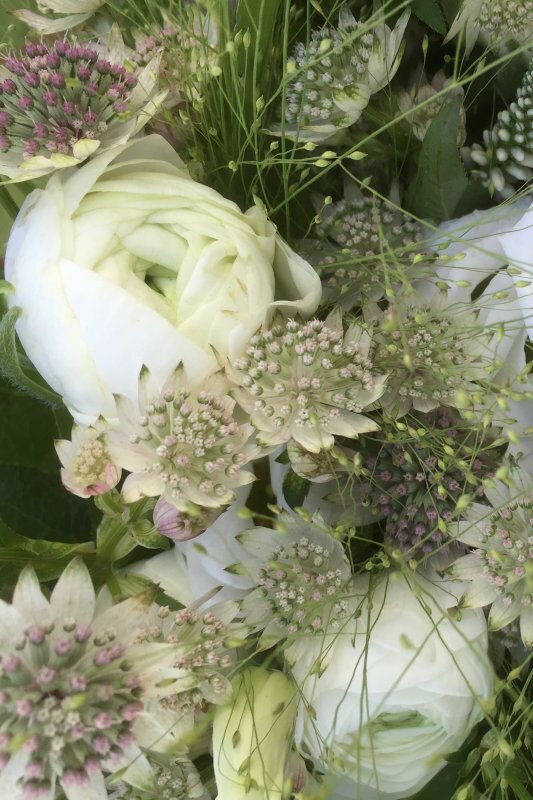 Our floral tributes can be delivered to the funeral directors or to a family home in and around a 25 mile radius of our base including: Burford, Carterton, Charlbury, Eynsham, Faringdon, Woodstock and Witney.